目的 探讨羊骨髓肽(sheep bone marrow peptides,MP)及其钙螯合物(MP?Ca)对诱导分化的OC 形成和活性的影响?方法 将MP 与CaCl 2 螯合制备MP?Ca,以RAW264. 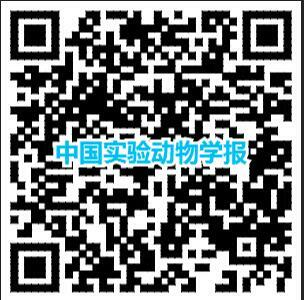 7 为破骨前体细胞模型,建立OC 的RANKL诱导体系,以MP 和MP?Ca 干预诱导过程,确定二者在最适作用浓度下对诱导曲线?TRAP 活性和骨吸收陷窝数的影响?结果 诱导后第5 天,细胞呈现OC 典型形态,TRAP 染色呈阳性并在共培养的骨片上形成骨吸收陷窝,MTT检测时OD 490达到峰值;以第5 天作为检测时间,MP 与MP?Ca 均以103μg/ mL 时OD 490最低;以103μg/ mL MP 和MP?Ca 干预诱导体系,除第1 天外,干预组OD 490均显著低于空白组( P < 0. 05);在第5 天,MP?Ca 组的OD 490和TRAP 活性均显著低于MP 组( P < 0. 05);各干预组的骨吸收陷窝数均显著低于空白组,且MP 组显著低于MP?Ca组( P < 0. 05);17β?雌二醇(10 μg/ mL)的各检测指标均显著低于干预组( P < 0. 05)?结论 虽效果不及雌激素, MP 和MP?Ca 均可抑制OC 的诱导形成及其破骨活性,MP?Ca 对OC 诱导形成的抑制作用强于MP? Objective Osteoclast numbers and activity are directly related to bone turnover and metabolism. This study aimed to investigate the effects of sheep bone marrow peptides (MP) and calcium?chelated MP (MP?Ca) on the formation and activity of RANKL?induced osteoclasts. Methods MP?Ca was prepared by a chelating reaction between MPs and CaCl 2. RAW264. 7 cells were induced to osteoclasts by RANKL treatment, and cell proliferation was examined using the MTT assay. Induction was intervened by MP and MP?Ca to determine optimal concentrations and to investigate their effects on induction curves, TRAP activity, and the number of lacunae formed in bone slices. Results Under the induction system, on day 5, cultured cells were took on typical morphology of mature osteoclasts, TRAP staining was positive, resorptive pits formed, and the peak OD 490value was achieved. The lowest OD 490value was achieved when 103μg/ mL MP or MP?Ca were added into the induction system on day 5. When 103 μg/ mL MP or MP?Ca was added to the induction system, except on day 1, OD 490values from days 2 - 8 were significantly lower than the blank group ( P <0. 05). In addition, the OD490 value and TRAP activity of the MP?Ca group were markedly lower than the MP group ( P <0. 05). Pit numbers in the intervention groups were notably lower than the blank group, and the number of lacunae in the MP group was significantly lower than the MP?Ca group ( P < 0. 05). All indices checked in the 17?β?estradiol group were lower than the intervention groups ( P <0. 05). Conclusions Although inferior to estrogen, both MP and MP?Ca inhibite the RANKL?induced formation and the resorptive activity of osteoclasts. Moreover, MP?Ca was more effective at inhibiting osteoclast formation than MP.